Желтый цвет символизирует Новый год. Повсюду желтые шарики, желтые конфети, желтые шапки, желтые галстуки и майки. Особенно важно Новый год встретить в желтых трусах, это перуанский обычай. The color yellow symbolizes the New Year. There are yellow balloons, bags of yellow confetti, yellow hats, yellow ties and T-shirts everywhere. 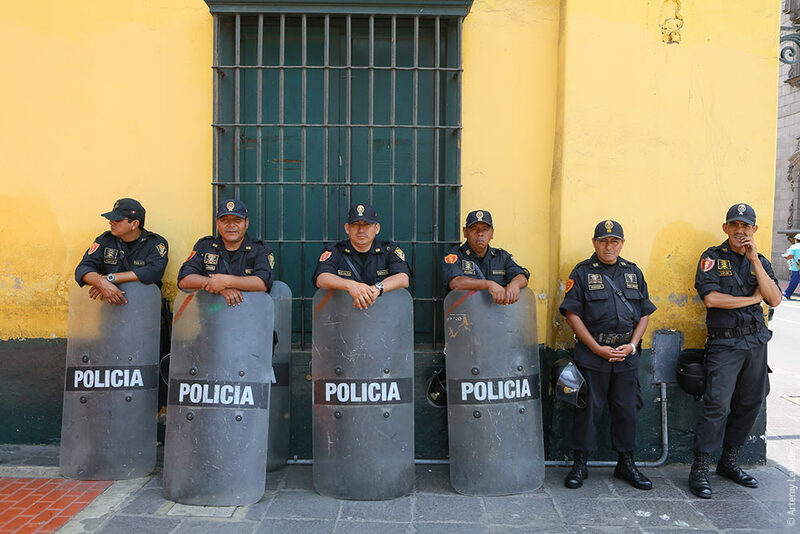 It’s particularly important to wear yellow underwear on New Year’s, according to Peruvian tradition. Флаг с цветами радуги иногда сбивает с толку туристов из Европы. Нет, в этом ресторане никак особенно не рады геям. Нет, эта гостиница не для лесбиянок. Это флаг инков. Инки и следы их культуры — главный источник интереса к Перу. 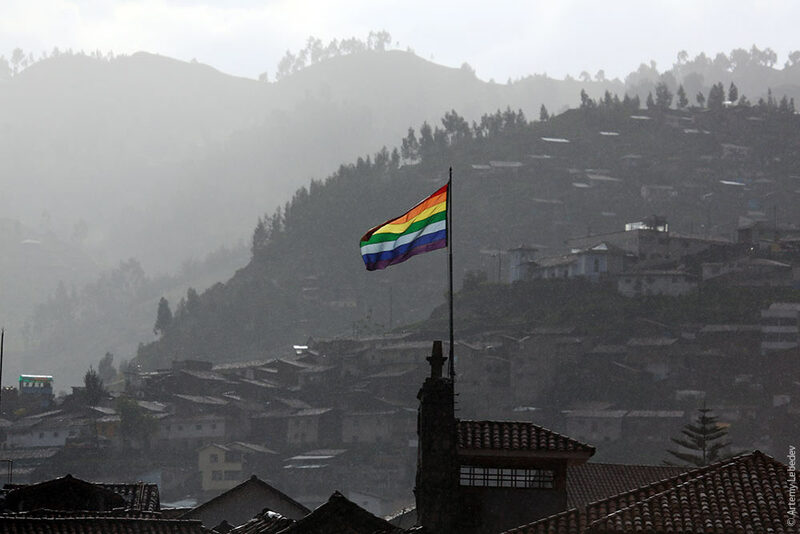 The rainbow flags often confuse tourists from Europe and North America. No, this restaurant isn’t more glad to welcome gays than any other place. No, this isn’t a lesbian hotel. This is the Inca flag. 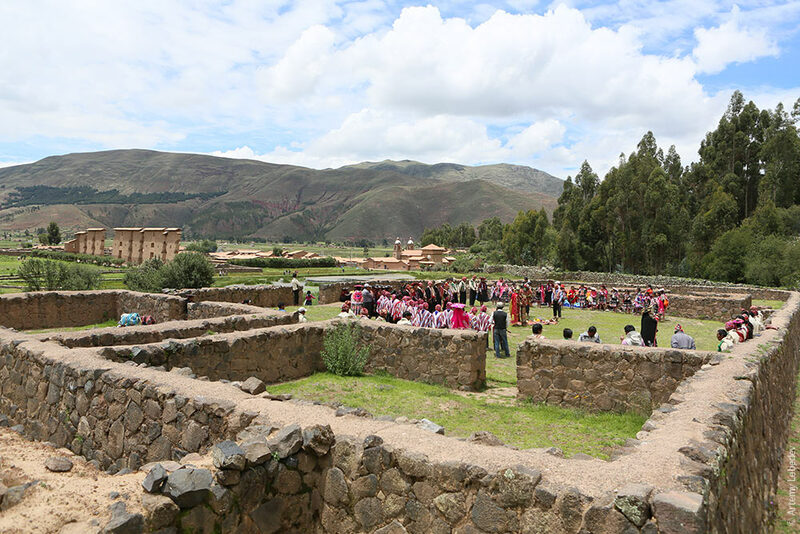 The Incas and traces of their culture are the main source of interest towards Peru. 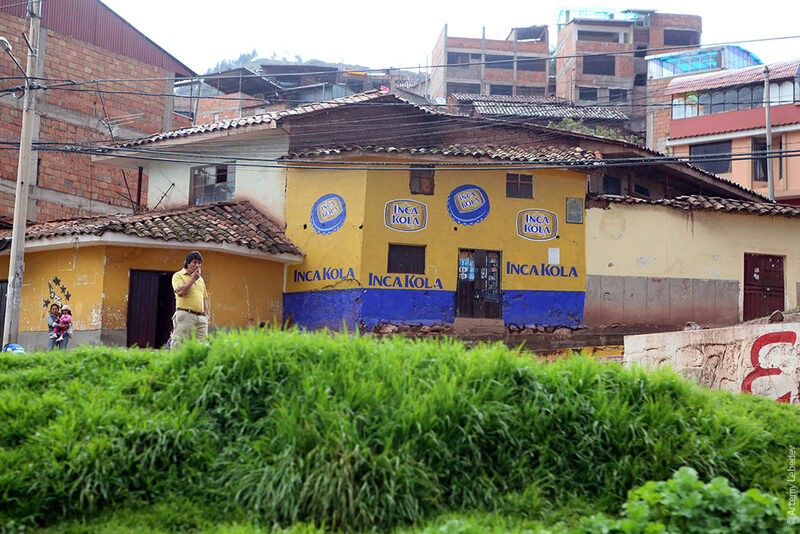 The second most popular drink after Coca-Cola is Inca Kola (which is now owned by Coca-Cola). Its taste reminded me of Soviet pear-flavored soda. 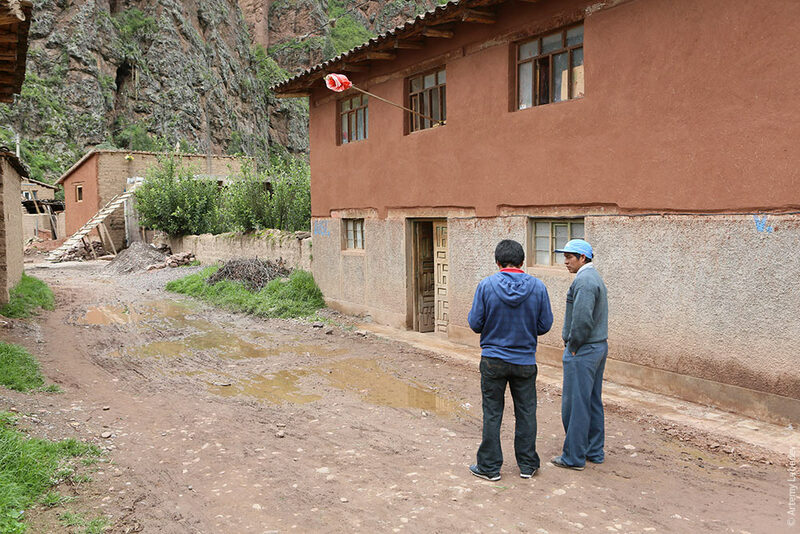 A red cloth rose on a stick indicates a place where home-brewed beer is sold. 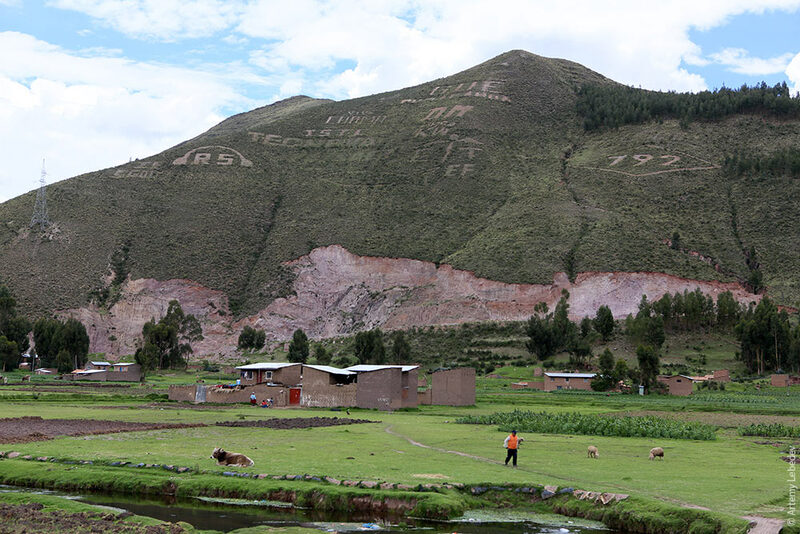 The Chinese began settling here in the mid-19th century, which is why every Peruvian now eats rice every day. Rice, beans and potatoes are the three side dishes typically found together on every plate. There’s an unbelievable number of corn varieties here. 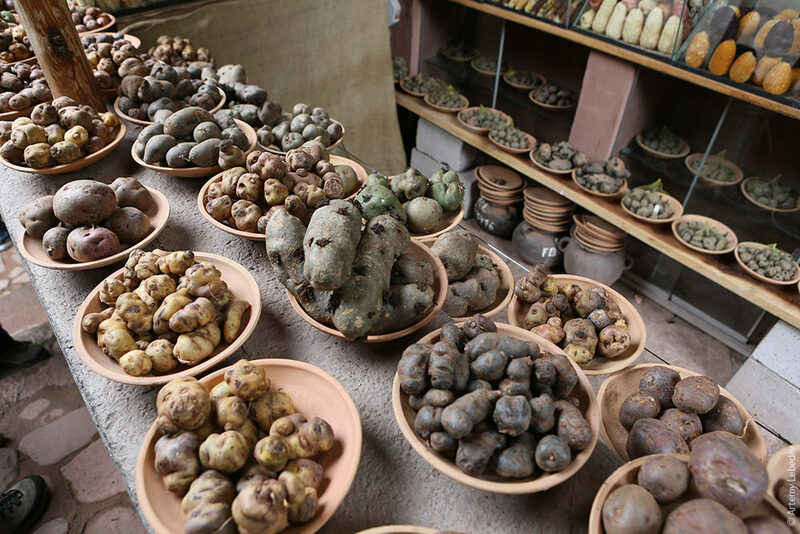 And 150 kinds of potatoes. 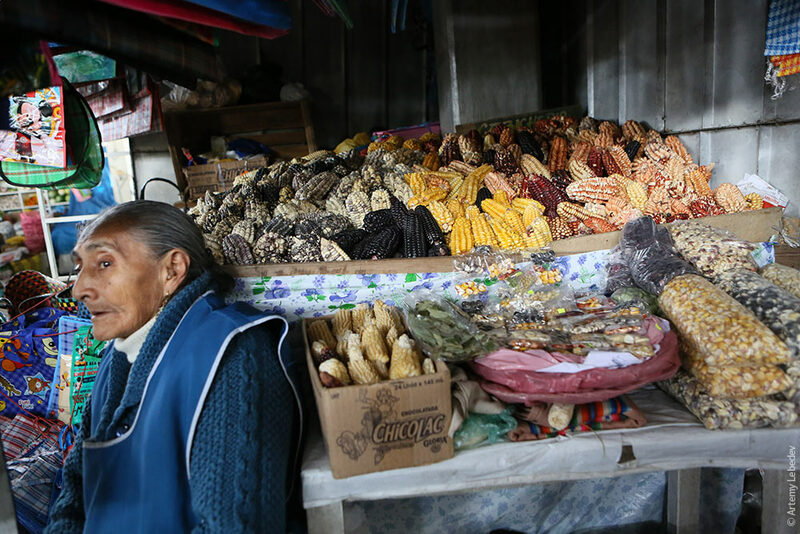 The market usually sells about 40 varieties: one for frying, another for boiling, a third for croquettes, and so on. 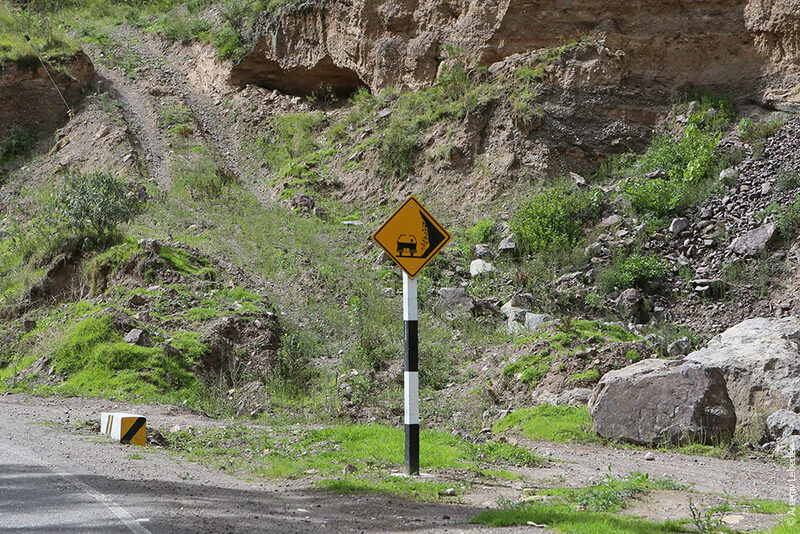 And Peruvian housewives know the difference between them all. There’s one kind of potato that’s especially interesting: it’s dehydrated over the course of two weeks, after which it easily stores for five years. 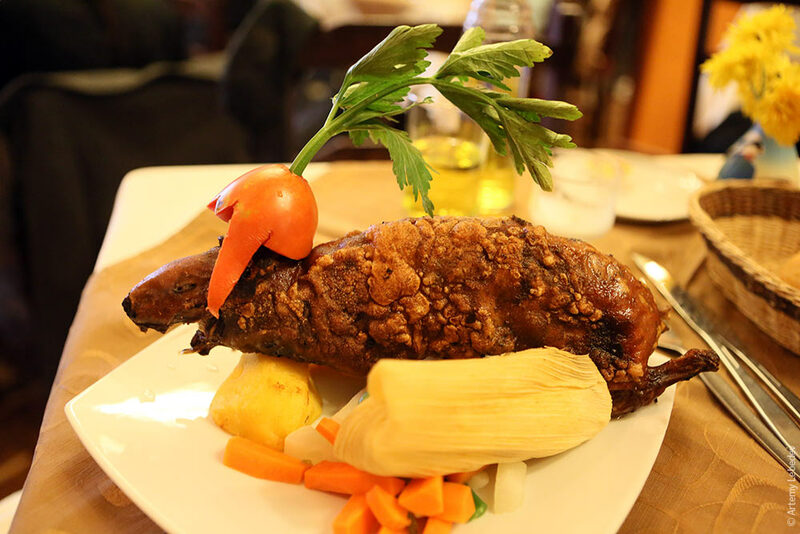 Cuy, as the guinea pig is called here, is a typical dish in the northern part of the country. 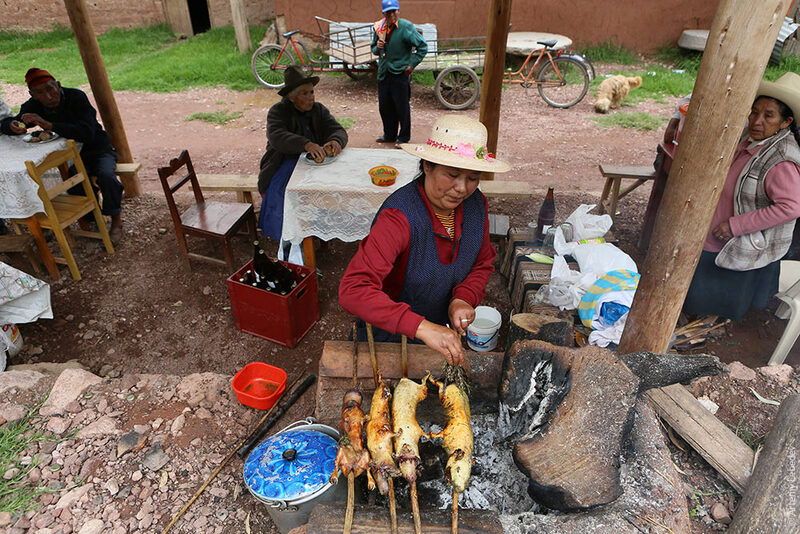 Fire-roasted cuy on skewers is usually served along the roads. Tourists are served cuy in restaurants. In a tomato helmet with leafy plumes. It’s important to keep in mind that serving sizes in Peru aren’t just large, they’re gargantuan. Order a salad and you’ll end up with a meal for three. 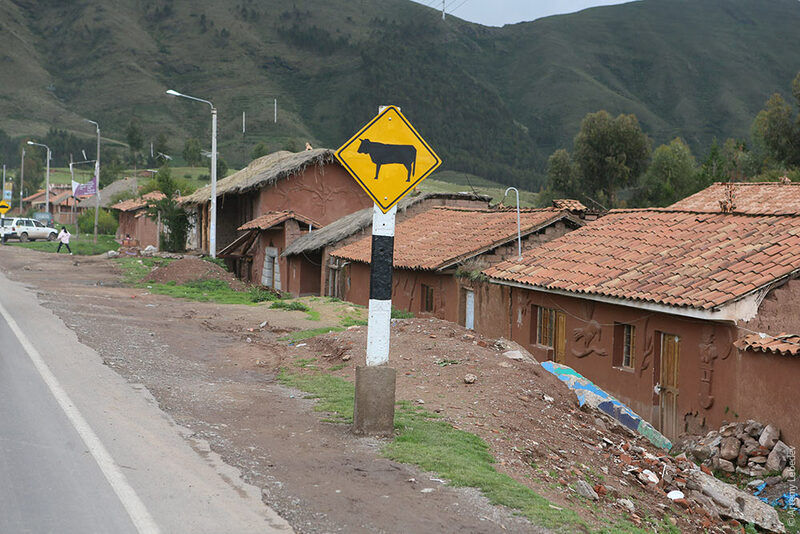 Llamas and alpacas are eaten in place of mutton here. They look like stuffed animals, you almost can’t bring yourself to eat them. But they taste delicious. Уличные таксофоны на стойках — как в Чили, Аргентине или Испании. 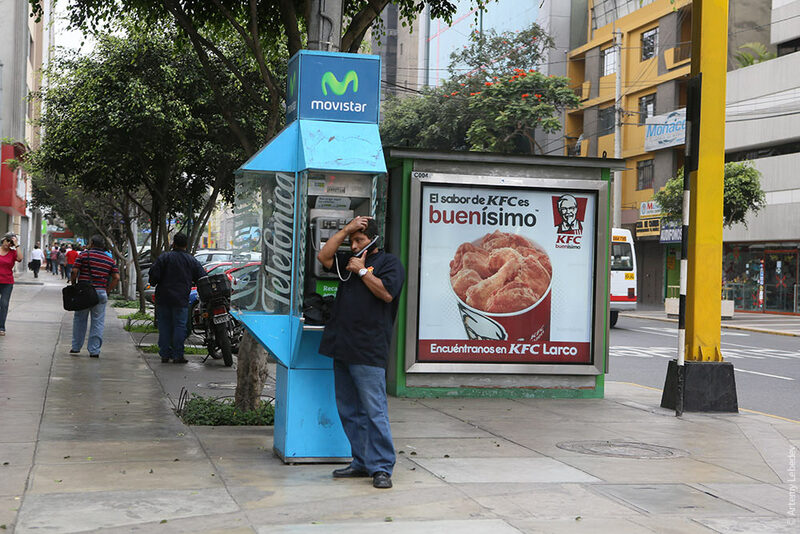 The street payphones in freestanding kiosks are just like the ones in Chile, Argentina or Spain. There are also some red ones. Но чаще всего это синий аппарат рядом с магазинчиком. Владельцы лавок получают от телефонной компании процент. 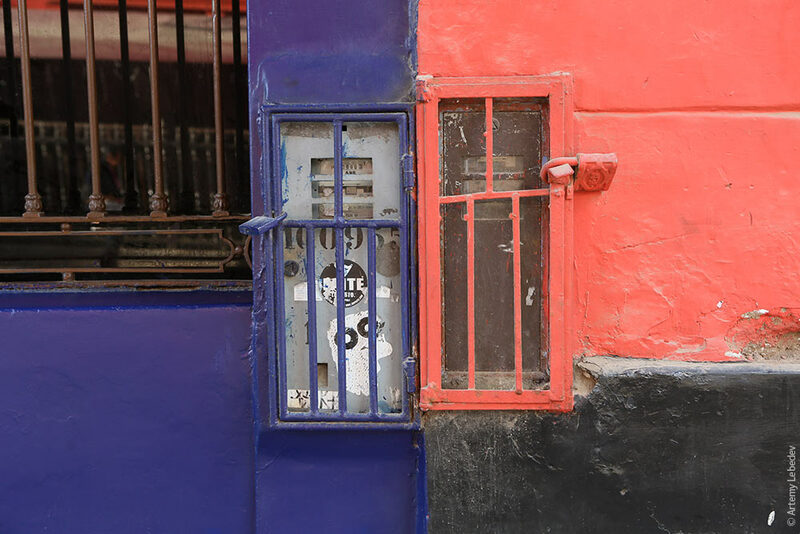 But most often it’s a blue phone next to a little shop of some kind. 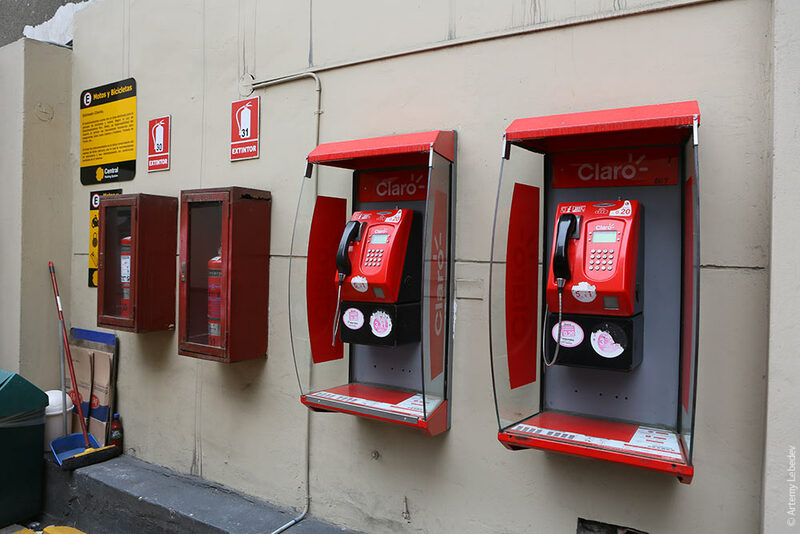 The shop owners get a cut from the telephone company. Крышки люков всех телефонных компаний оформлены в виде дисков номеронабирателей. 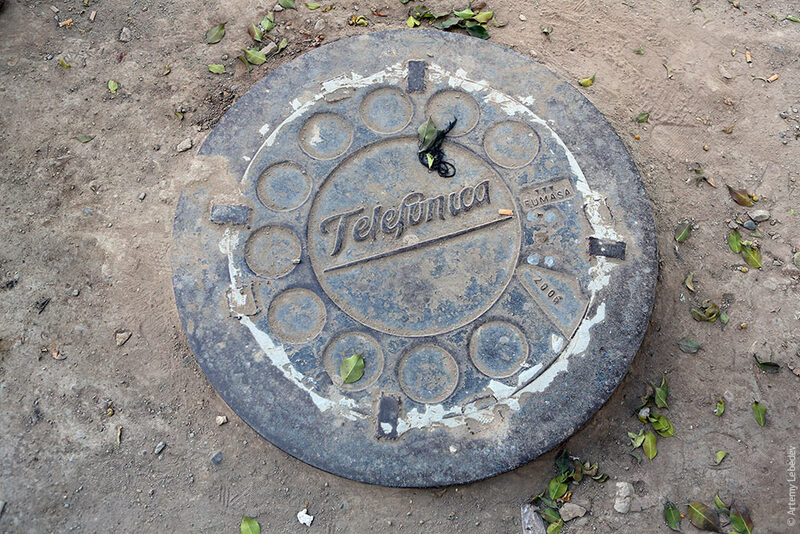 The manhole covers of every phone company are made to look like rotary dials. На столбах приварены защитные штыри (как в Тель-Авиве). 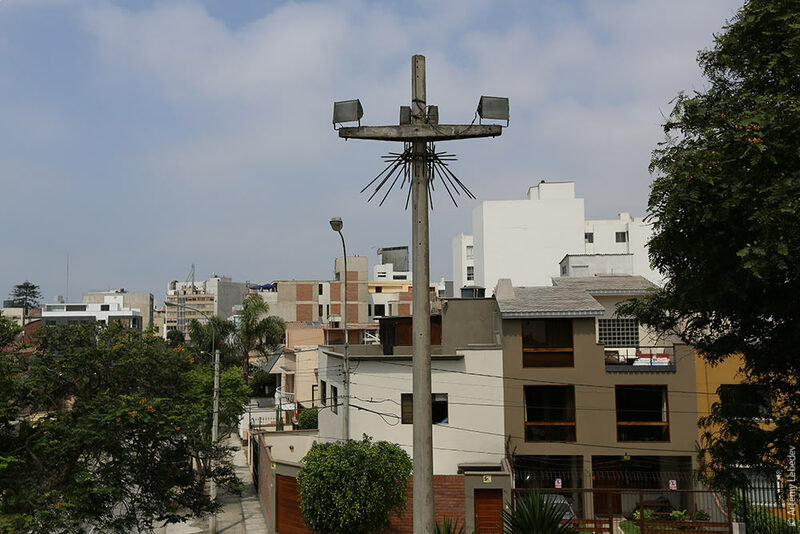 Utility poles have rebar skirts welded to them for protection (like in Tel Aviv). Весь коммерческий транспорт, начиная с такси и заканчивая грузовиками, обязан иметь наклеенные световозвращающие наклейки на боках и сзади. А также обязательно номер автомобиля должен быть в виде наклеек повторен на боках — для безопасности (как в Боливии или Колумбии). И еще в такси номер написан внутри самой машины, для еще большей безопасности. All commercial vehicles, from taxis to trucks, are obligated by law to have retroreflective stickers on their back and sides. 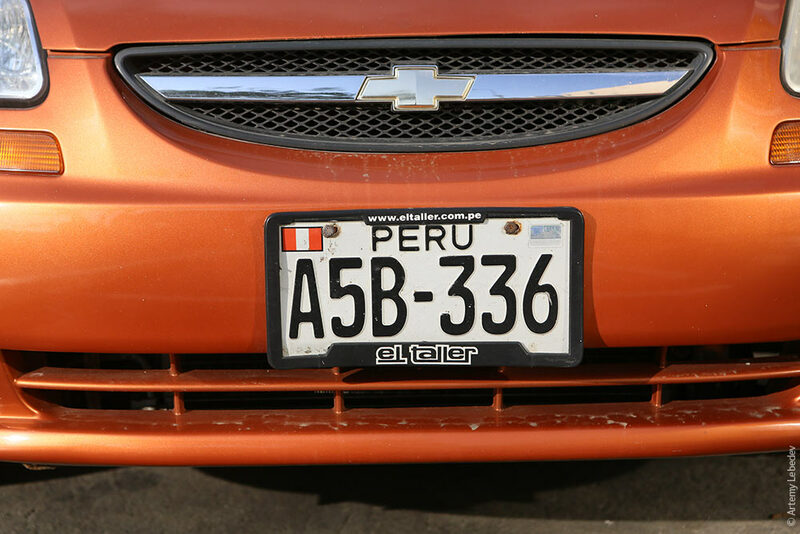 The sides must also have stickers with the license number—for security (like in Bolivia or Columbia). 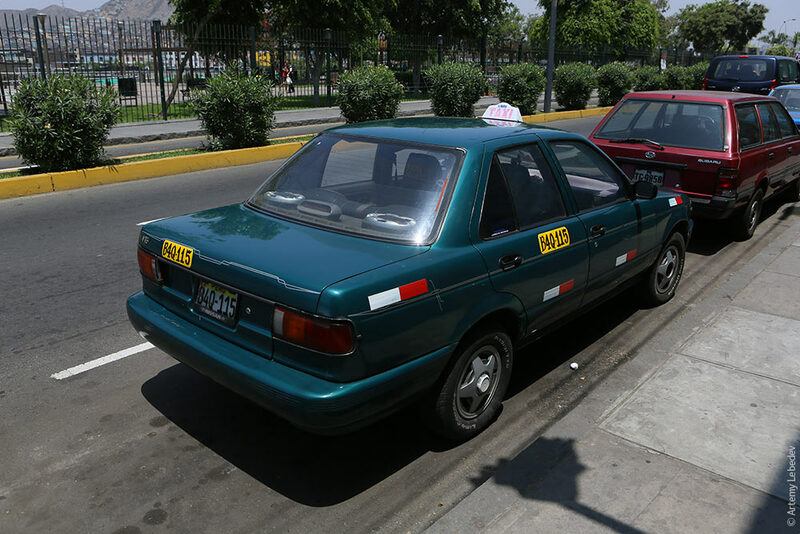 Taxis have the license number displayed inside the car as well, for even more security. Перуанская деталь — тряпичная накидка на водительскую дверь, защищающая от палящего солнца. Очень странное изобретение. 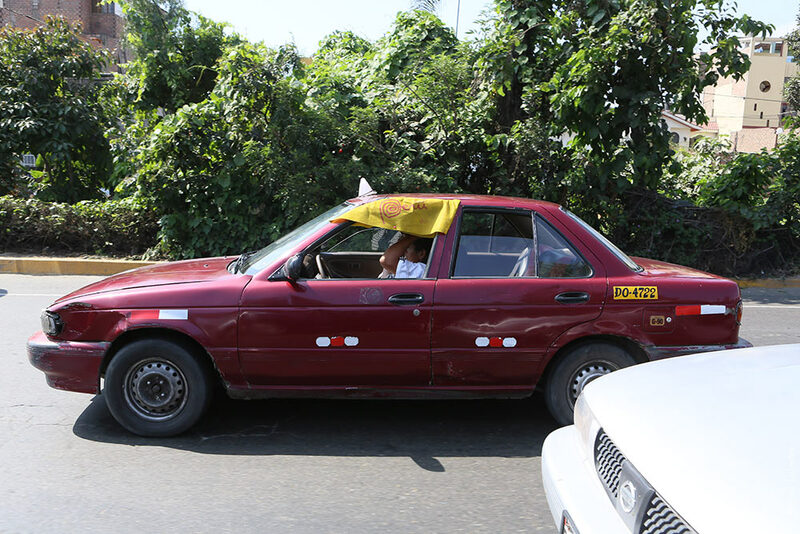 A Peruvian detail: a fabric throw that goes over the driver side door to keep out the scorching sun. A very strange invention. 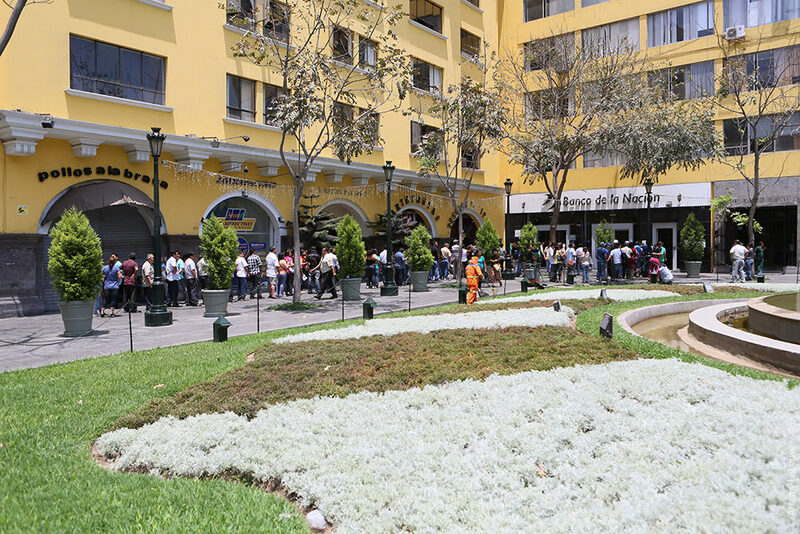 A queue at the bank. 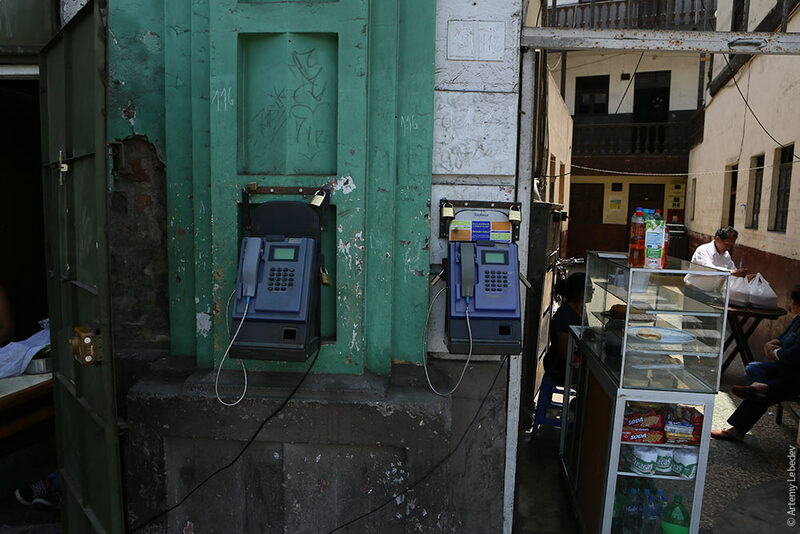 People here don’t like ATMs and prefer face-to-face interaction. 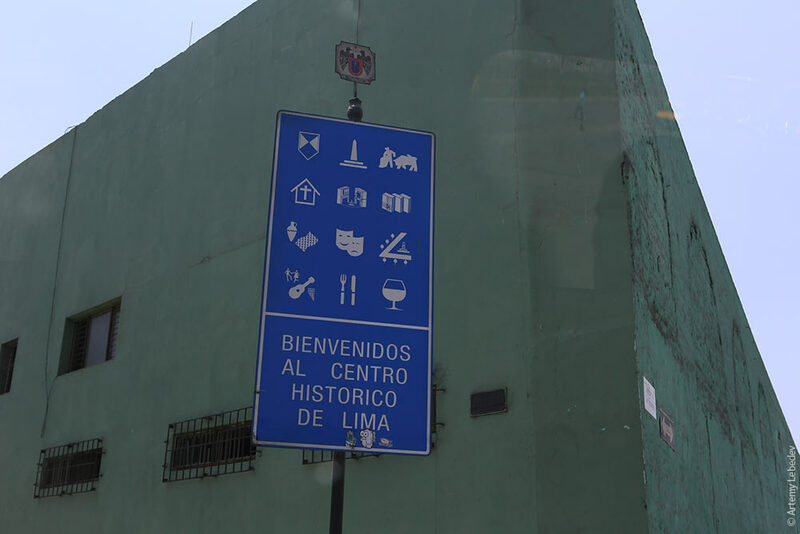 As you drive into every town, you’ll see a sign with pictograms of what you can find there: hotel, café, gas station, museum, etc. 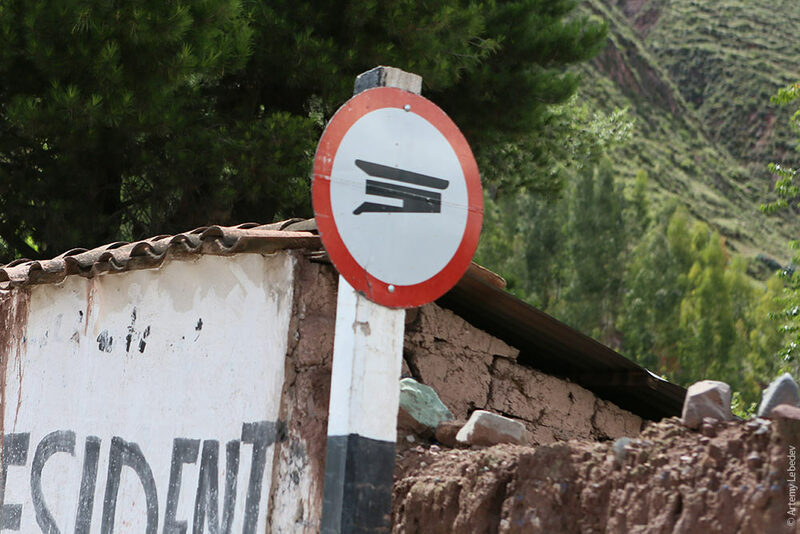 It’s very fashionable to lay out the number of your high school or the frequency of your radio station on a mountainside here. The whole country has been ruined this way. Тончайшая телефонная трубка на знаке SOS. 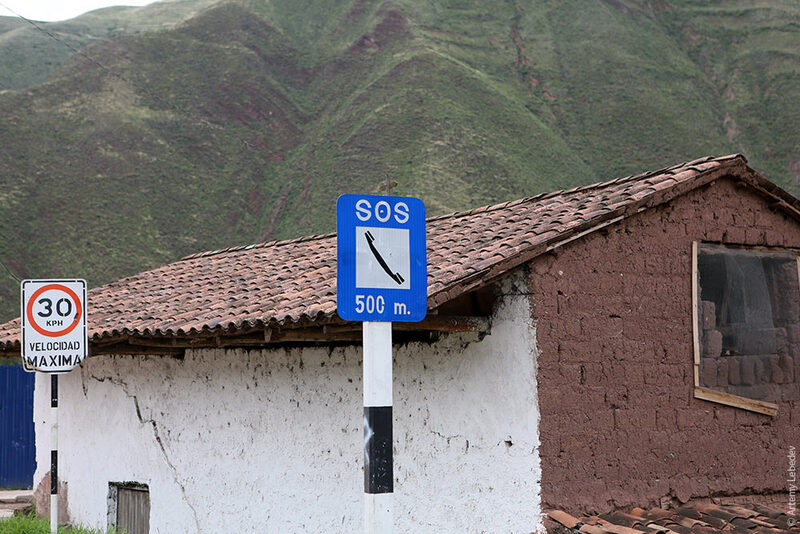 A wafer-thin phone handset on an SOS sign. 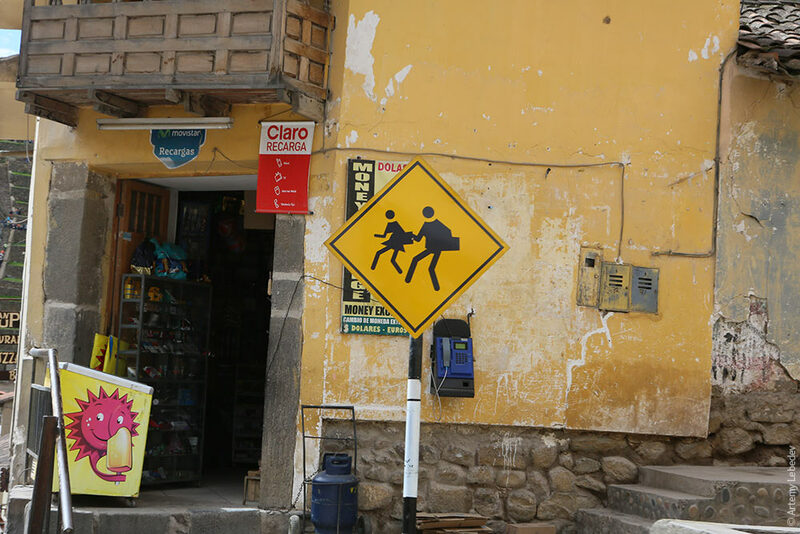 The “Children” sign depicts fairly grown-up students, with the boy always holding on to the girl’s bag. На знаке «Не гудеть» клаксон похож на кирку (как в Колумбии). 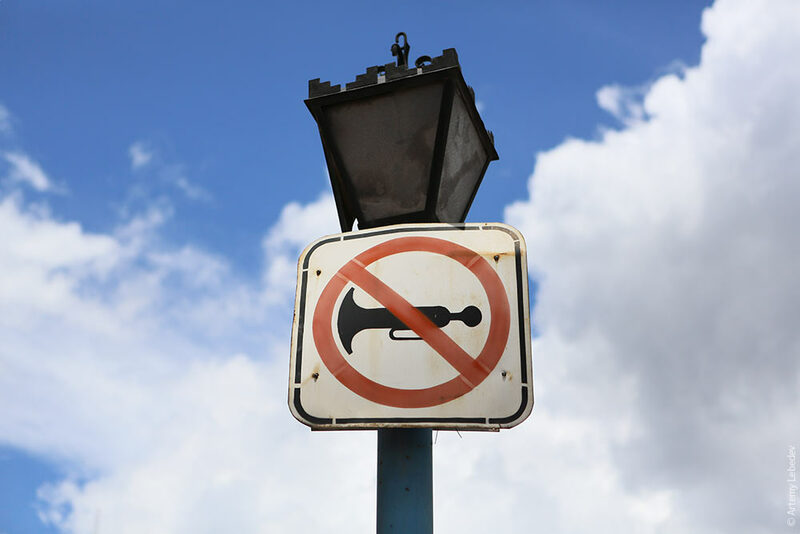 The vehicle horn on the “No Honking” sign looks like a pickaxe. 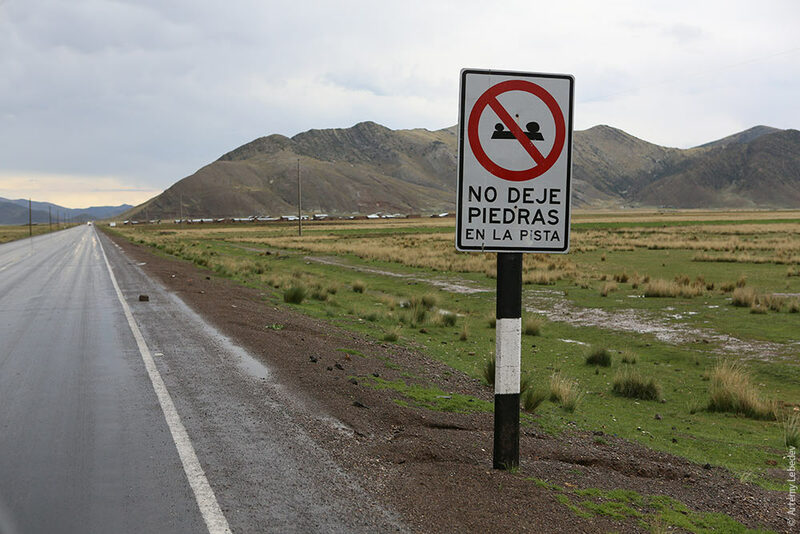 A unique Peruvian sign: “Don’t Leave Rocks on the Road.” It’s directed at drivers who set out rocks as warning signs on the road when they stop to change a tire. 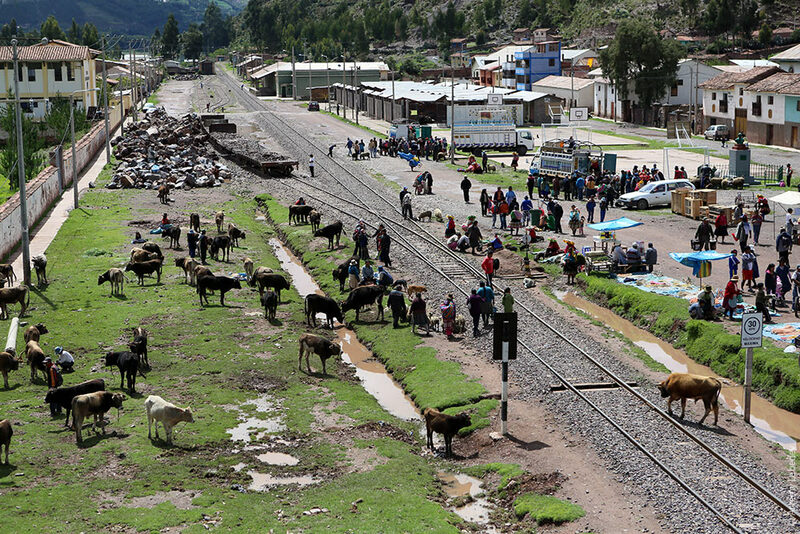 Peru has a well-developed railway system. 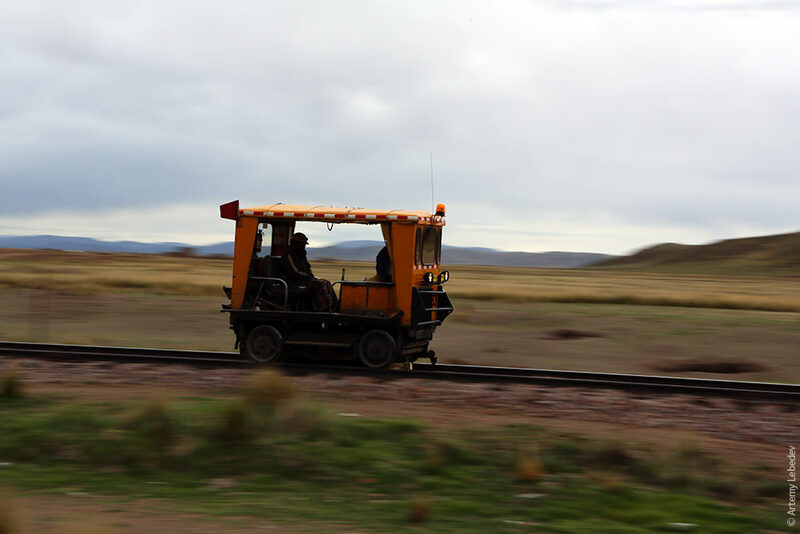 A handcar rushes through fifteen minutes before the train, checking the integrity of the tracks, making sure there are no stray rocks, etc. Because you never know—local residents might have pitched a market on the tracks in the train’s absence. 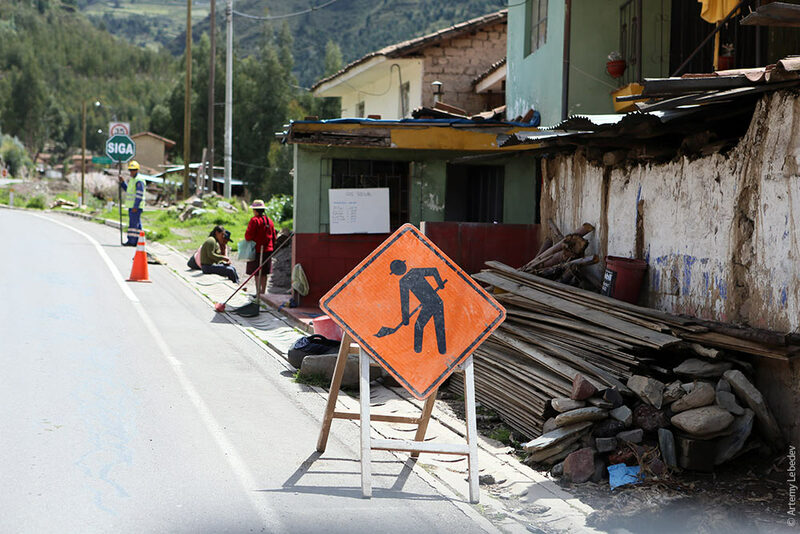 There’s some sort of law according to which real estate tax is collected only after construction on a building has been completed. 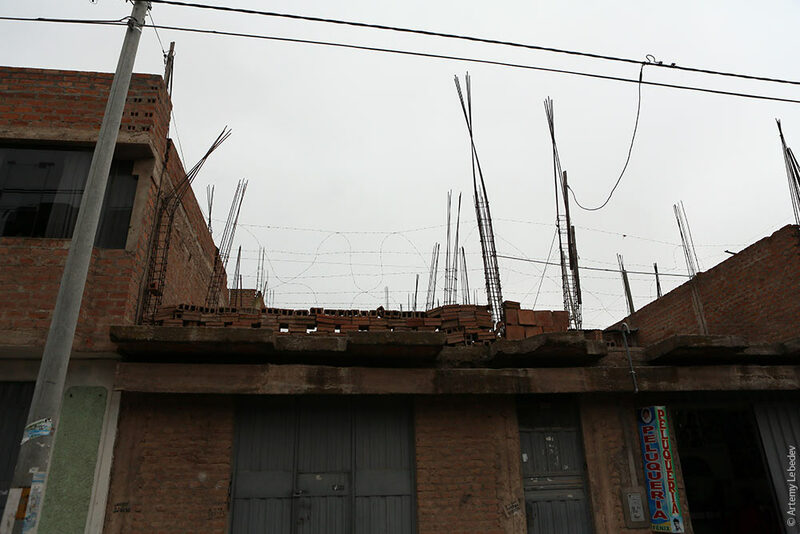 This is why you can see tons of houses with rebar sticking out from the roof—as though another floor is about to be built any day now. 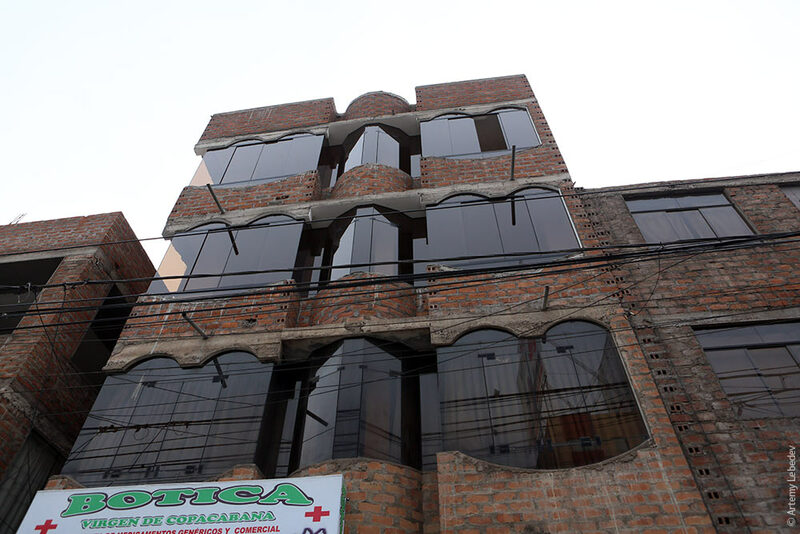 The contemporary architectural style is pretty horrible. Hideous brick and tinted windows. House is done. Почтовых ящиков на улицах нет, надо идти на почту. Редко можно встретить ящик в каком-нибудь туристическом магазине. 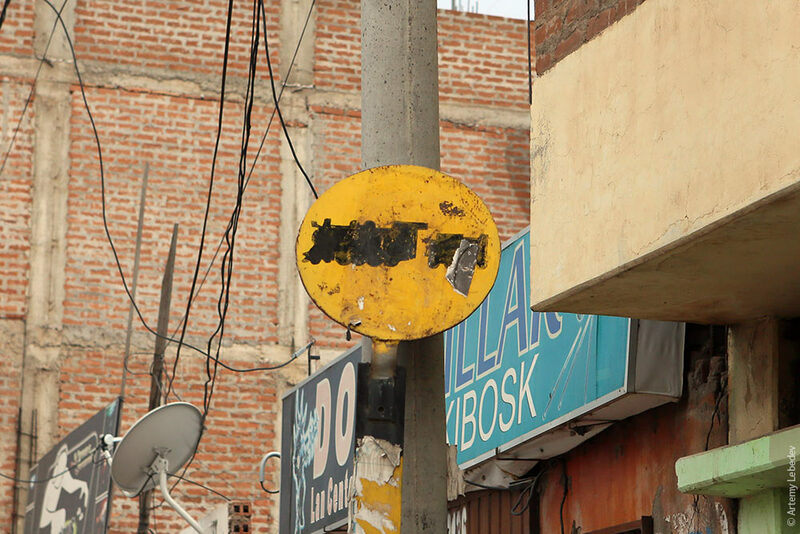 There are no post boxes on the streets, you have to go the post office. 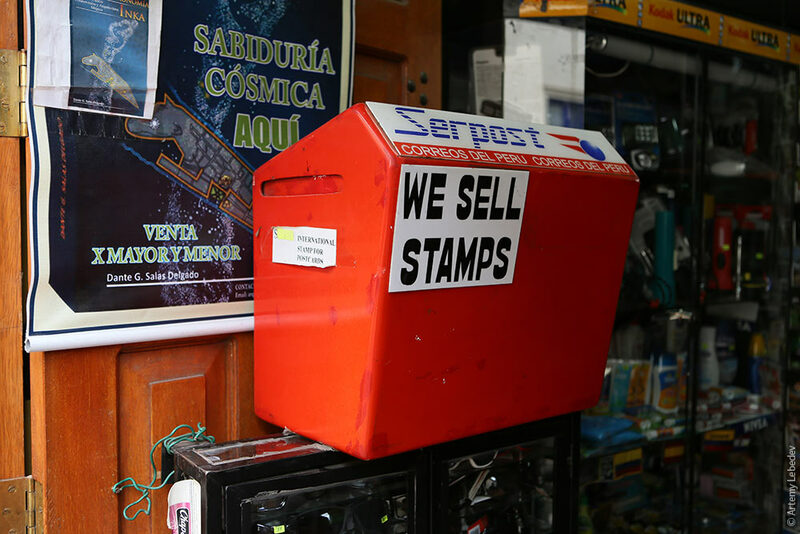 In rare cases you can come across a post box inside a souvenir shop. Earthquakes happen pretty much every other day here. 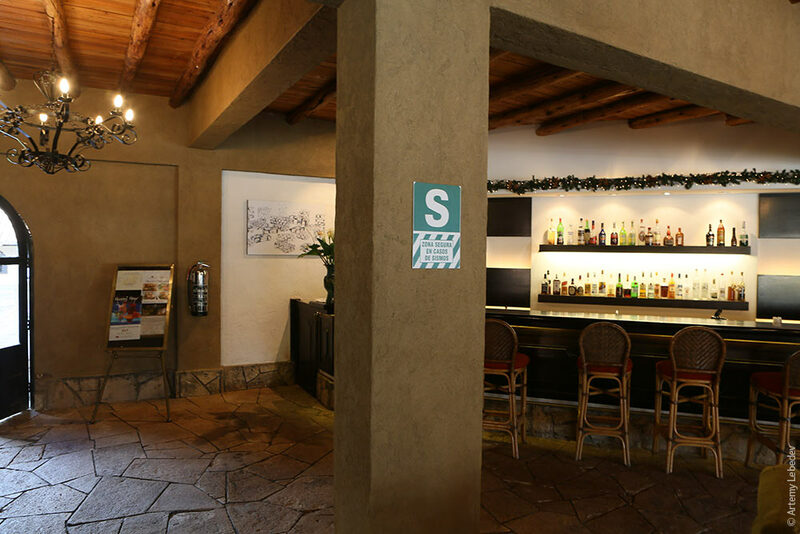 Usually they’re fairly weak, but just in case, every indoor space has a letter S indicating the safest place to be if there are strong tremors. Недавно было Рождество, поэтому на каждом углу стоит по вертепу. Так как овец в Перу нет, к новорожденному приставлены ламы. 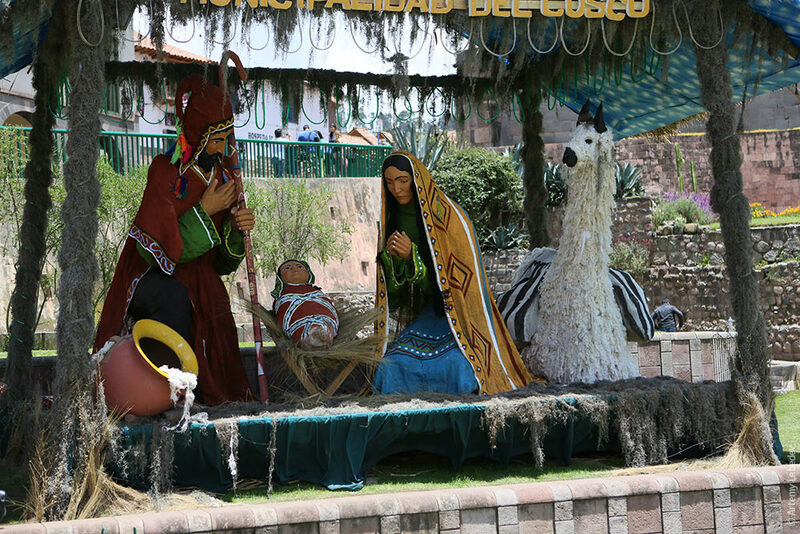 Christmas just passed, so there are still nativity scenes on every corner. 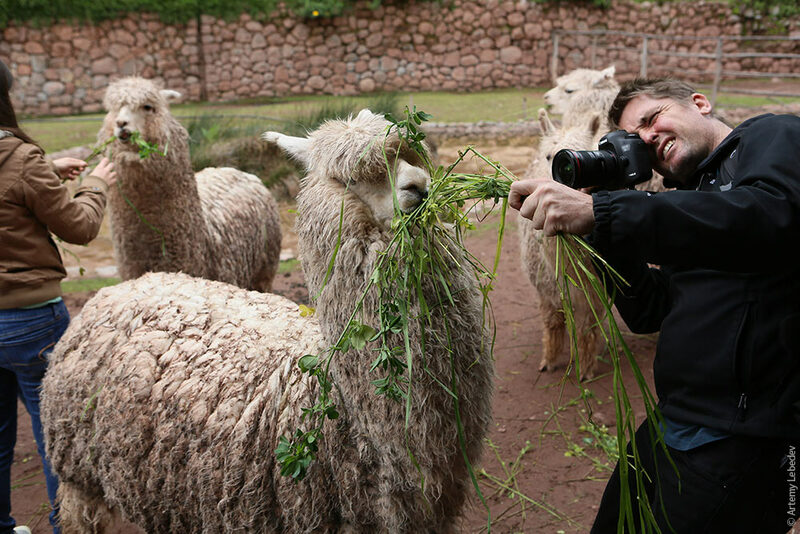 Since there are no sheep in Peru, the newborn is attended to by llamas. Although the nation is thoroughly Christian, this is no obstacle to holding pagan rituals. 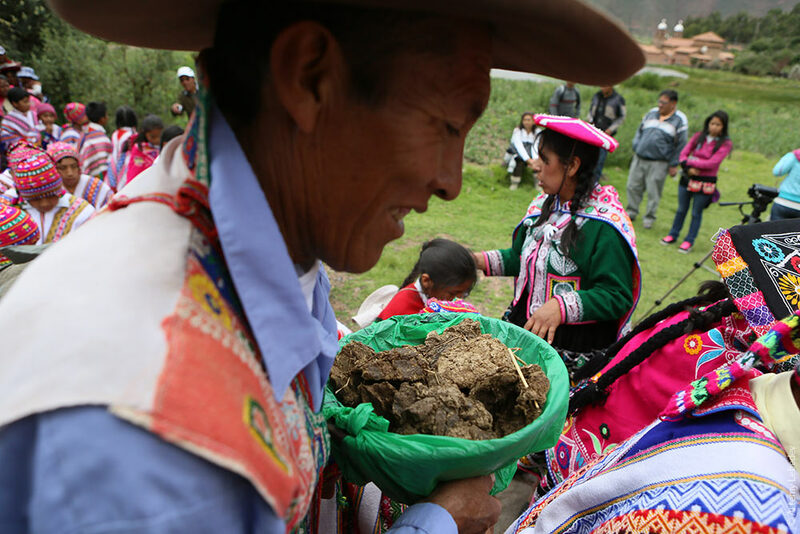 Here we have a farmer carrying a bowl of dung to an important ceremony. The ceremony is being held in honor of the newly elected president of the village council. Everyone plays the drums, sings, burns herbs and recites incantations to make his rule a successful one.